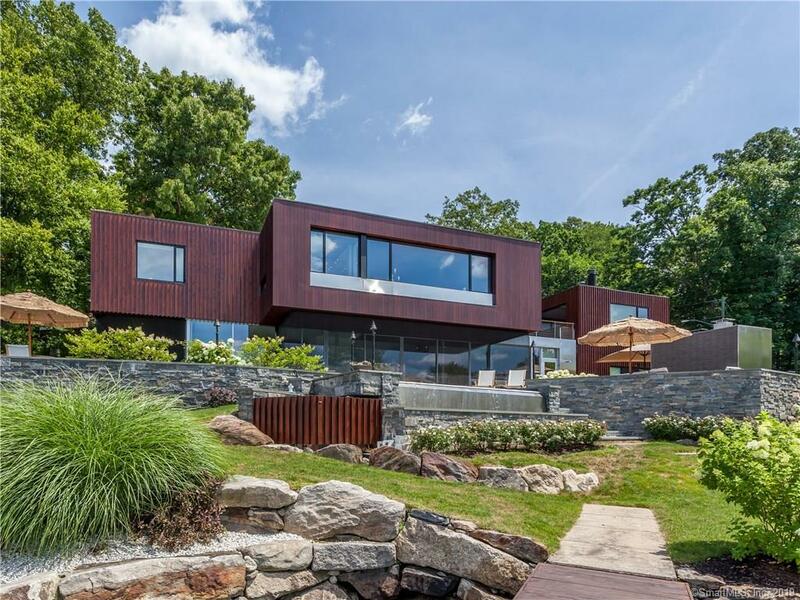 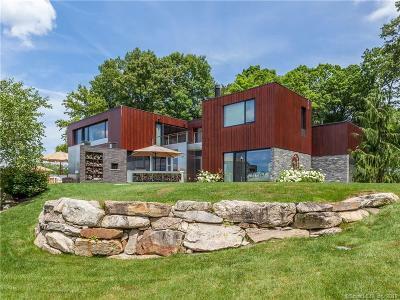 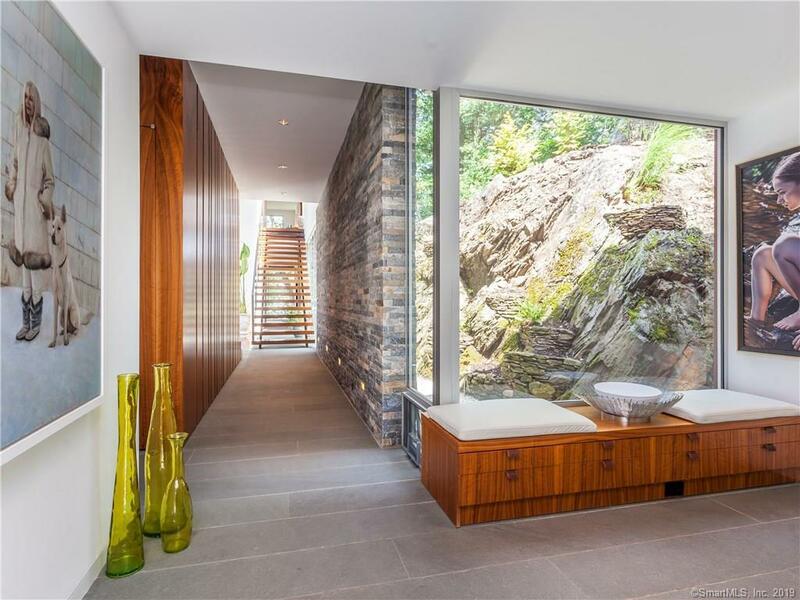 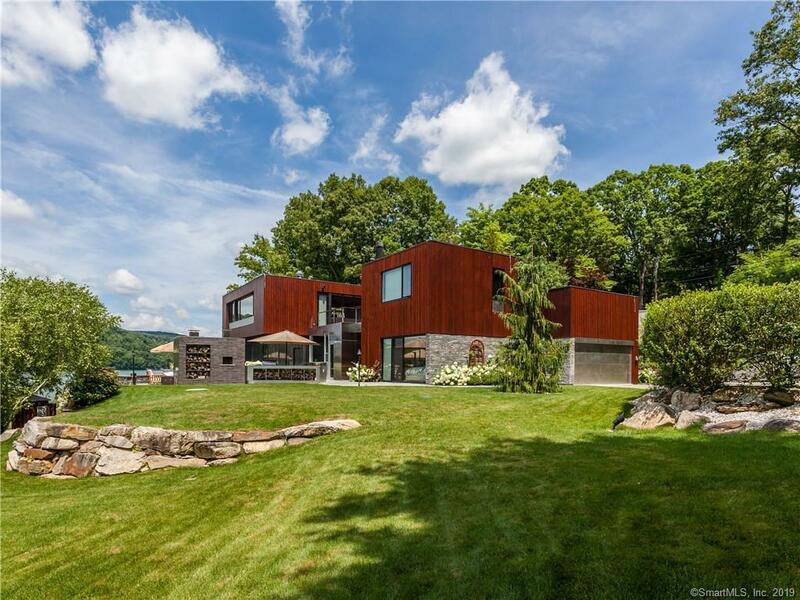 "Artreehoose" Premier Candlewood Isle Waterfront Modern. 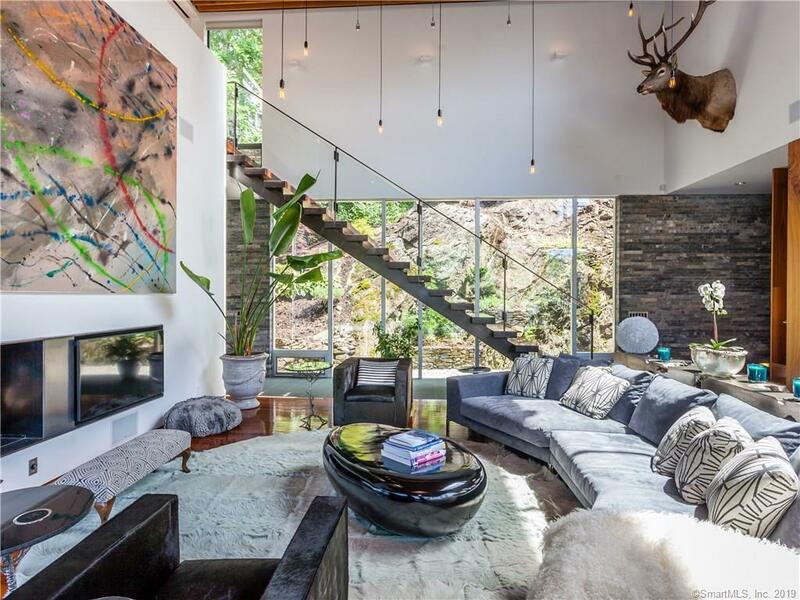 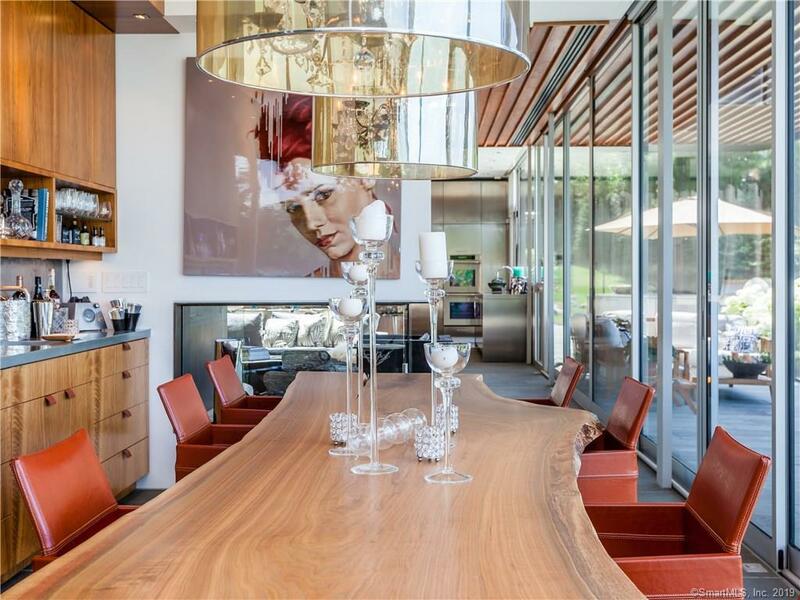 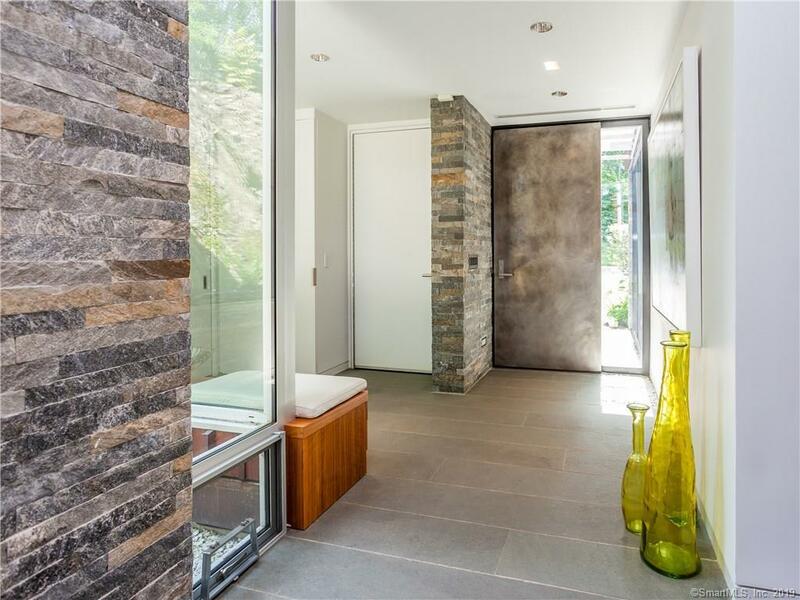 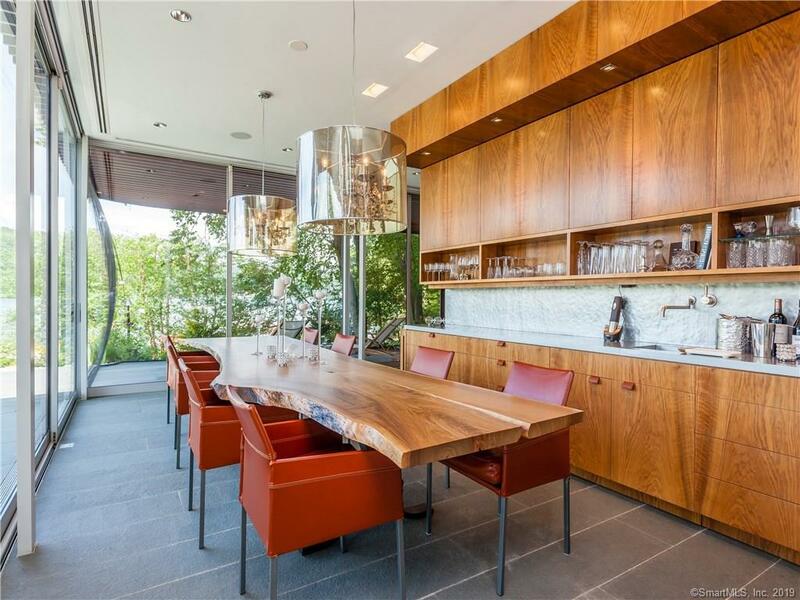 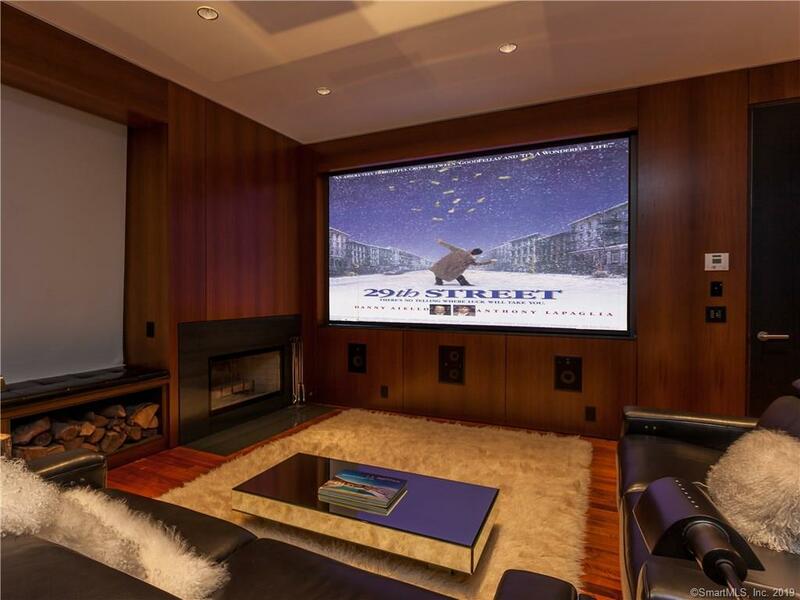 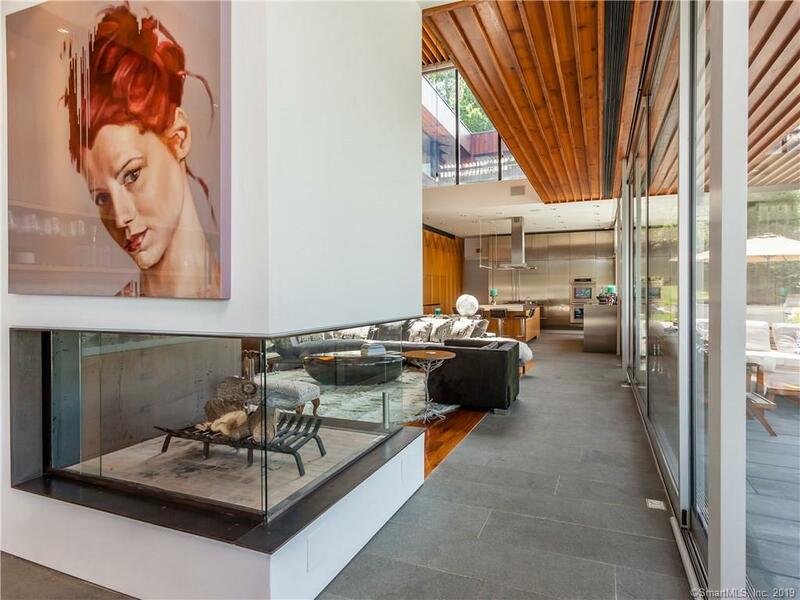 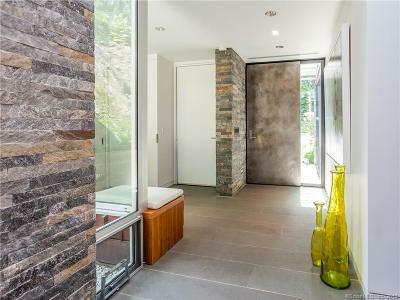 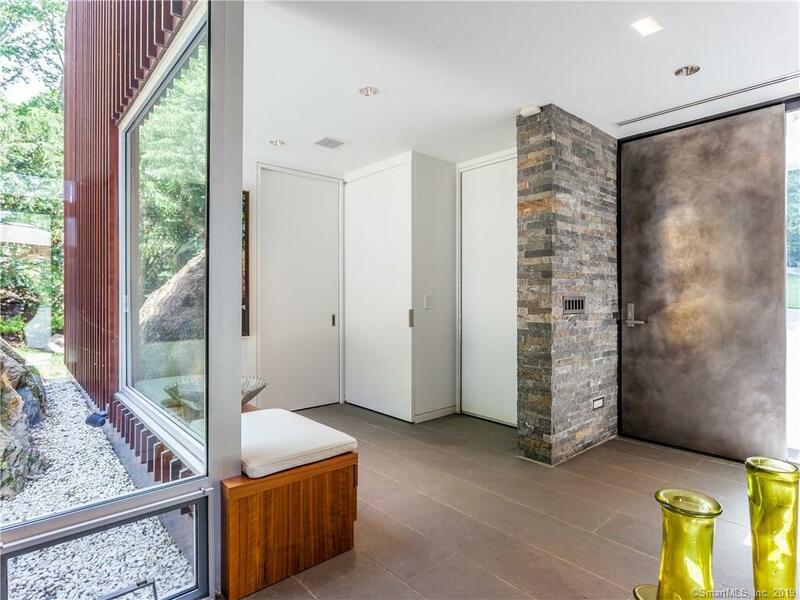 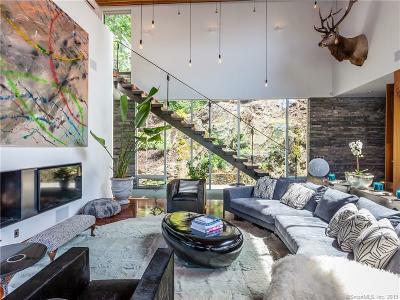 This Ultra chic home was designed by renowned architectural firm, Della Valle Bernheimer using only the finest materials including Monumental sliding glass panels which wrap the 20 ft high living room space and opens to a covered patio, bringing the feeling of the outside, to the interior spaces. 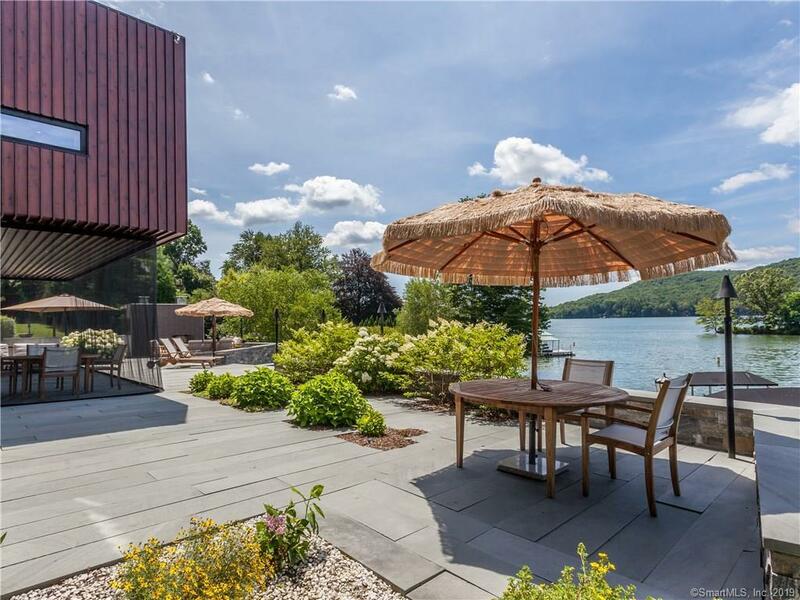 Phantom screening for media viewing creates a luxurious outdoor entertaining space, insect-free, to enjoy the views of the lake or open air dining. 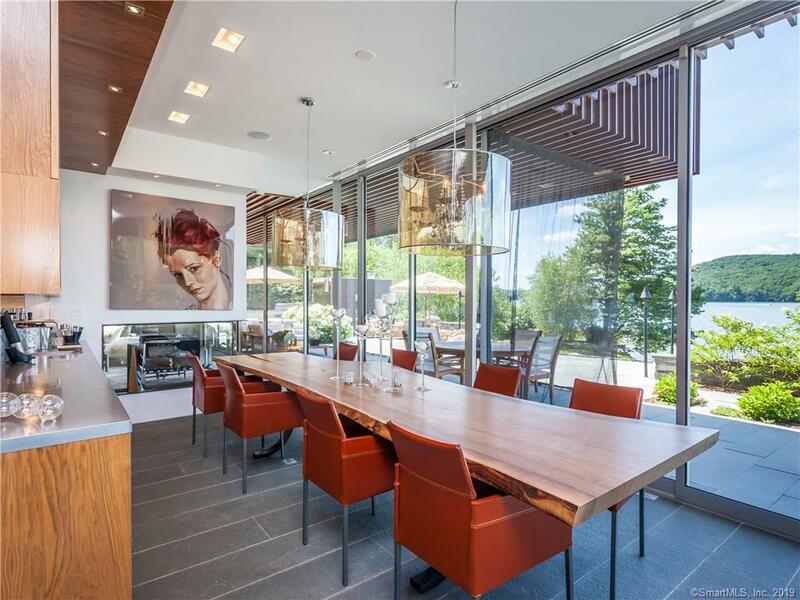 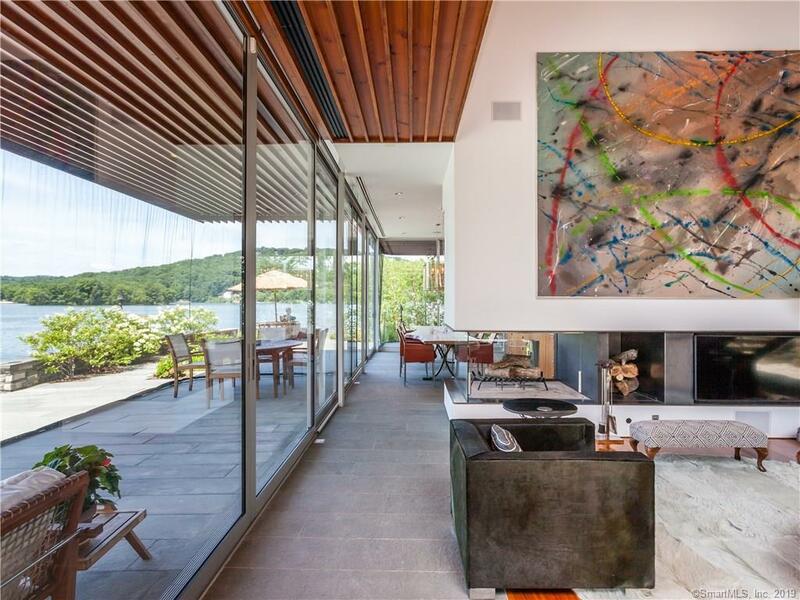 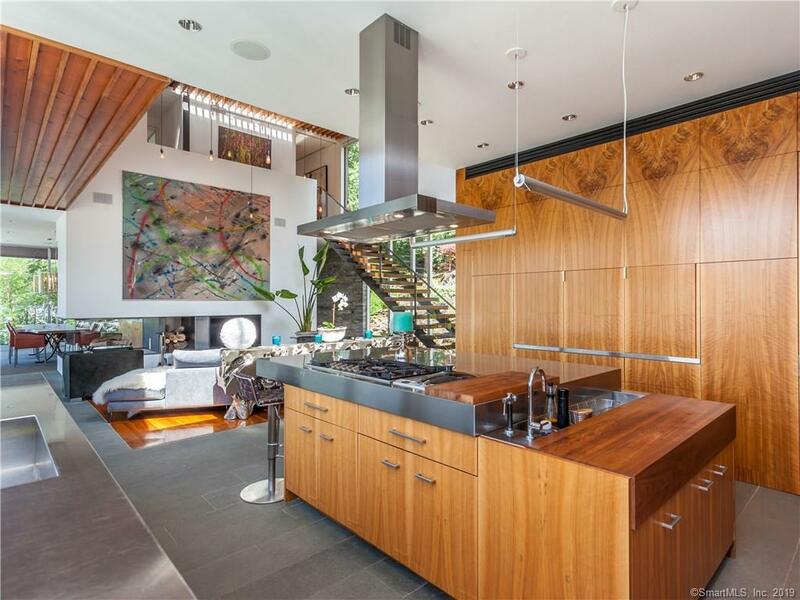 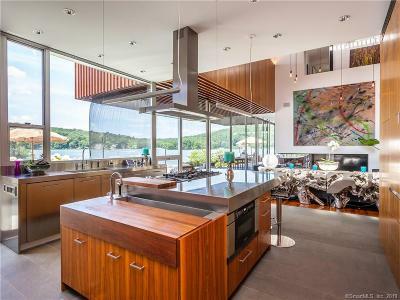 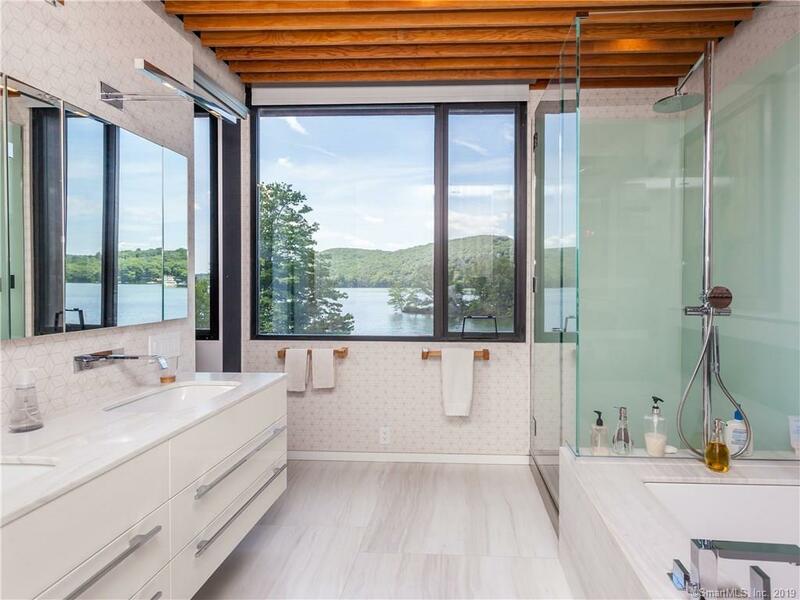 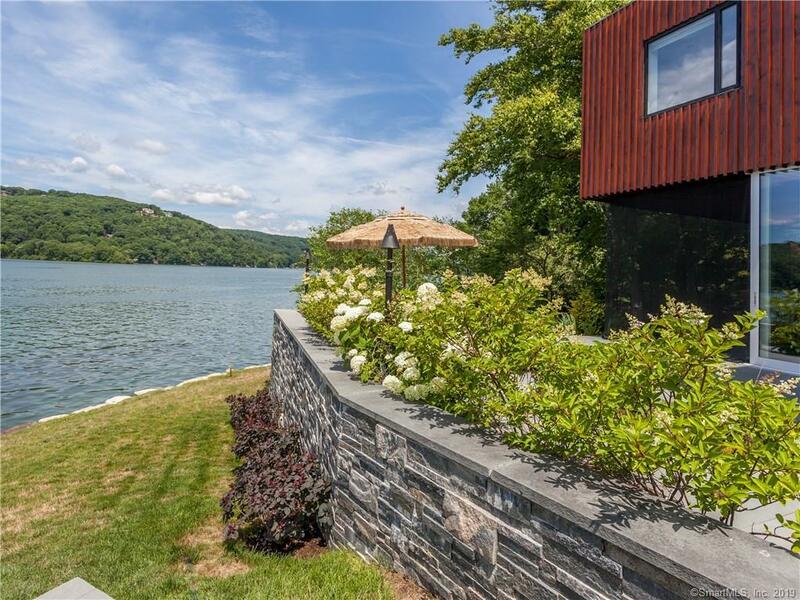 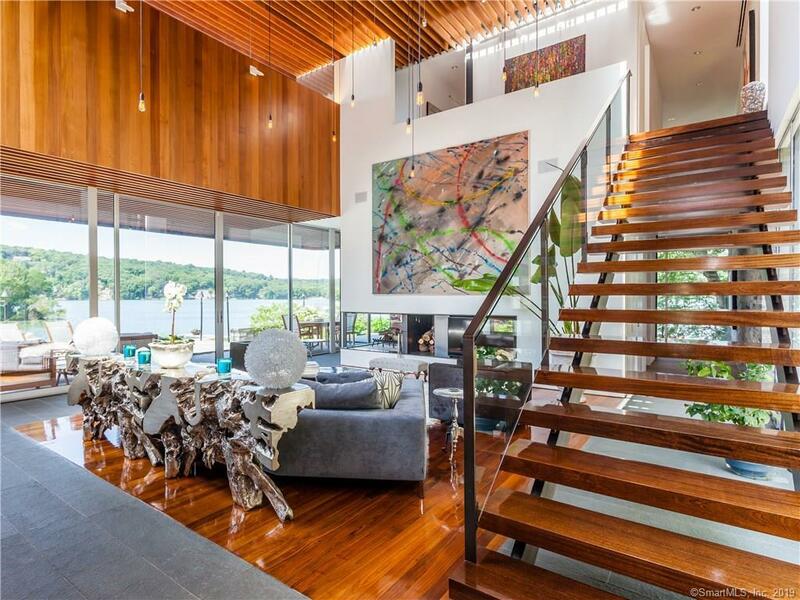 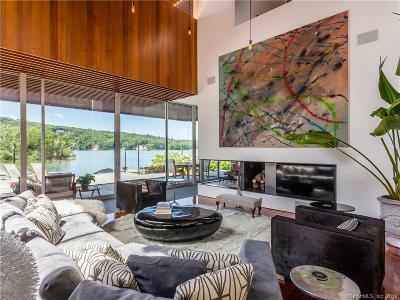 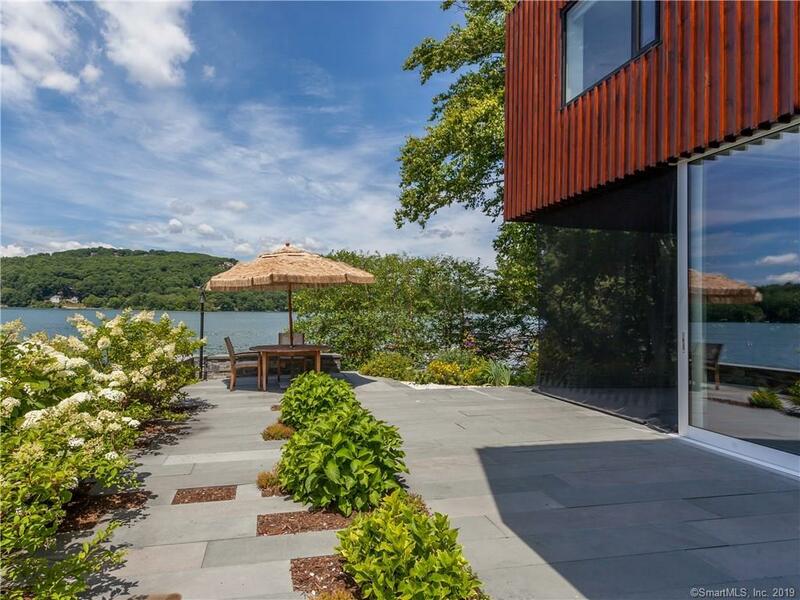 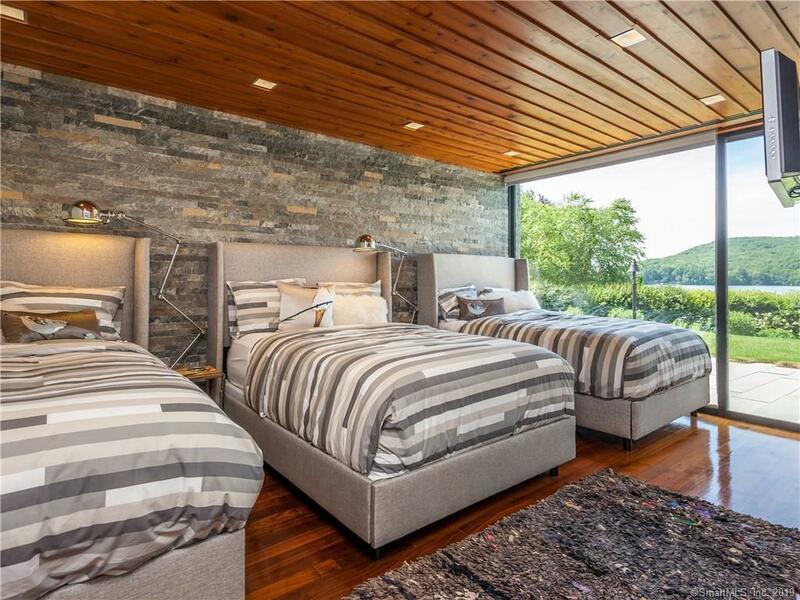 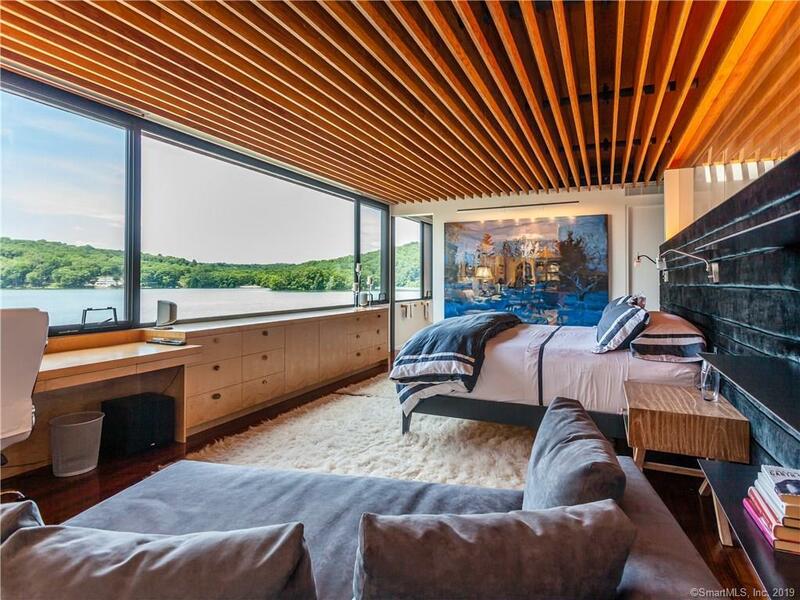 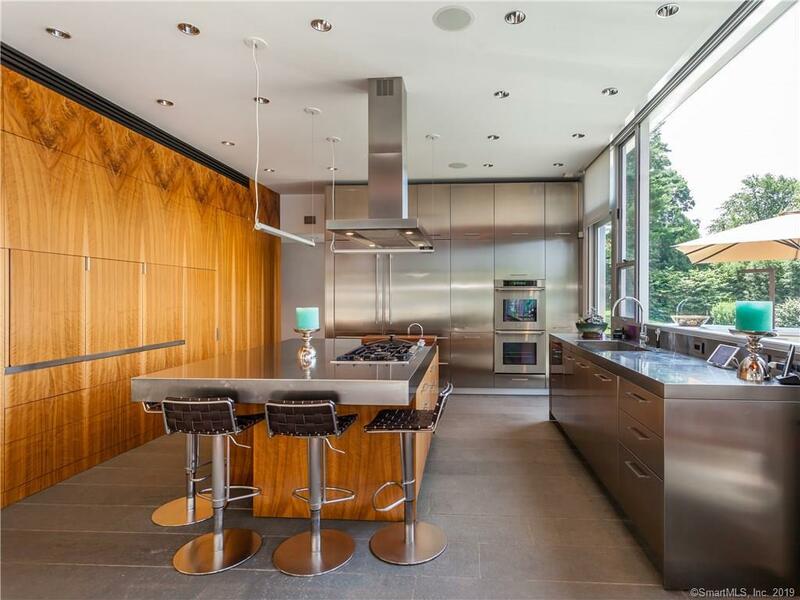 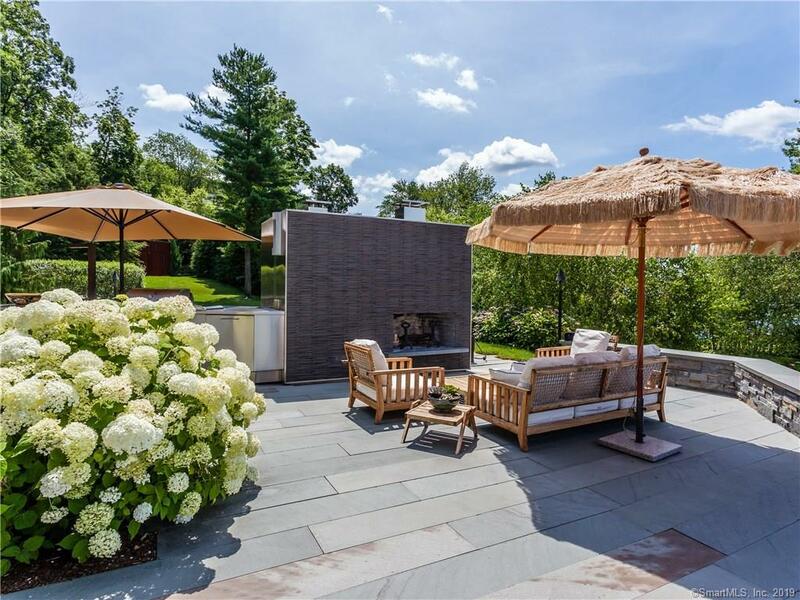 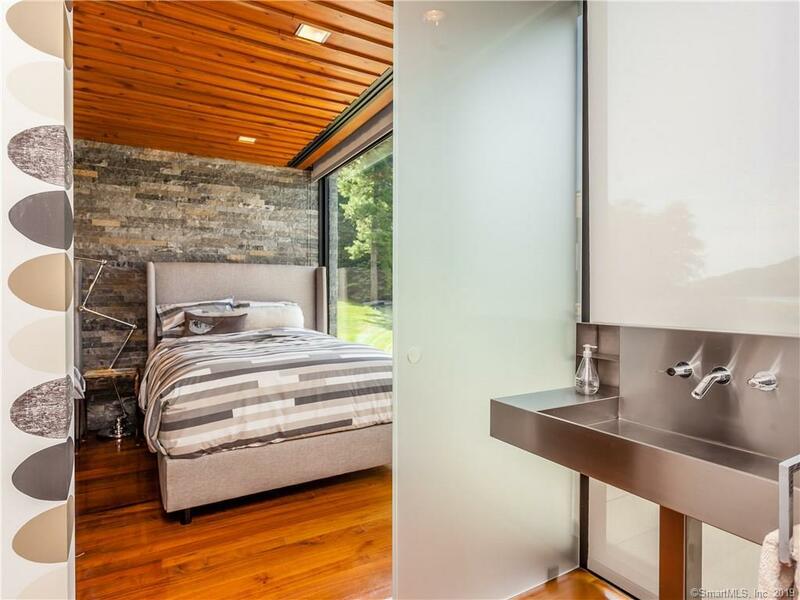 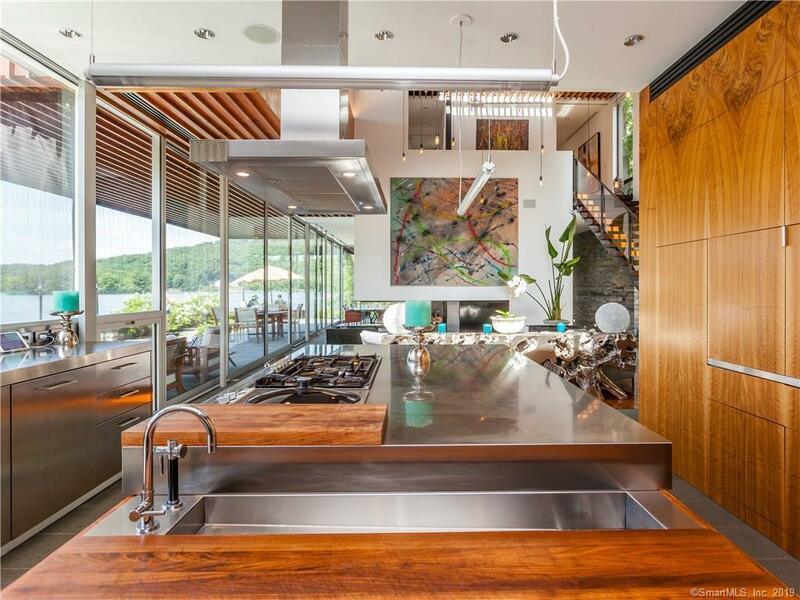 The magnificent Schiffini kitchen with walnut veneer and stainless steel center island overlooks the gorgeous sweeping views of Candlewood Lake and western sunsets. 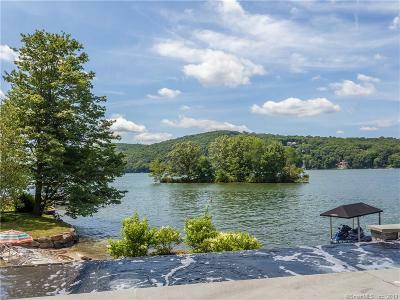 Walk out to the outdoor entertaining space equipped with outdoor kitchen with built-in grill, pizza oven and storage and enjoy all there is to offer in the lake lifestyle with sandy beach, dock and magnificent stone hot tub. 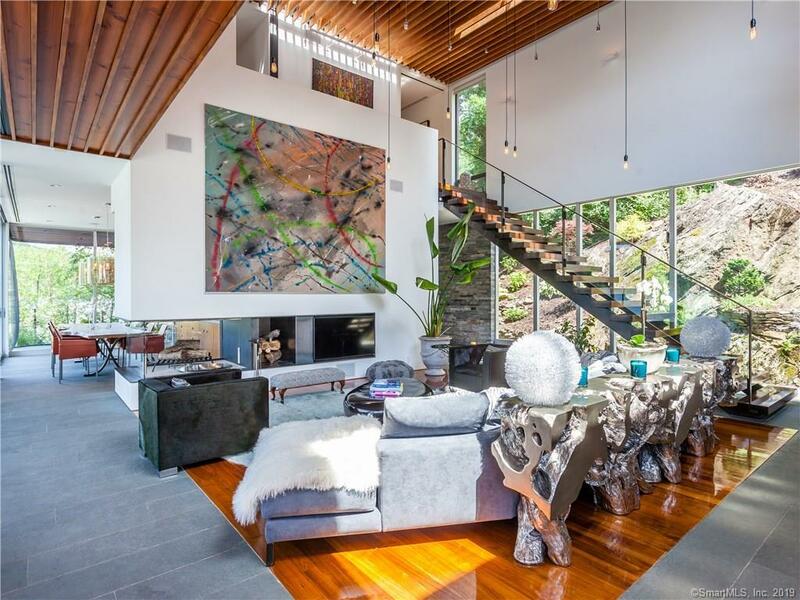 A Grand Living room is the heart of the home with soaring ceiling and two floating staircases which lead to the second story master suite, two additional en suite bedrooms and a state of the art media room with additional half bath and wet bar. Additional features included Flamed bluestone floors with radiant heating throughout, State of the art home automation system allowing control of music, lighting, security and temp from one location. 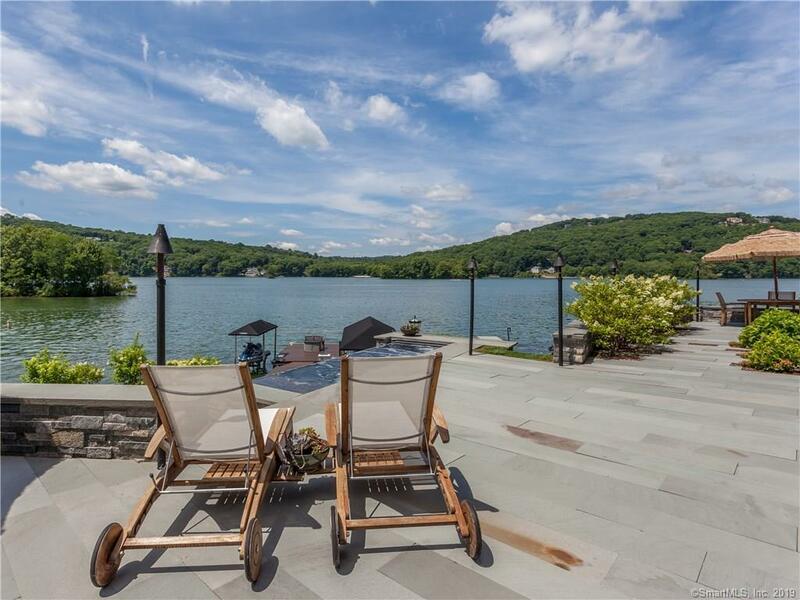 The Candlewood Isle Clubhouse offers tennis courts, marina, basketball, bocce, children's and social. This is Lake living at it's best! 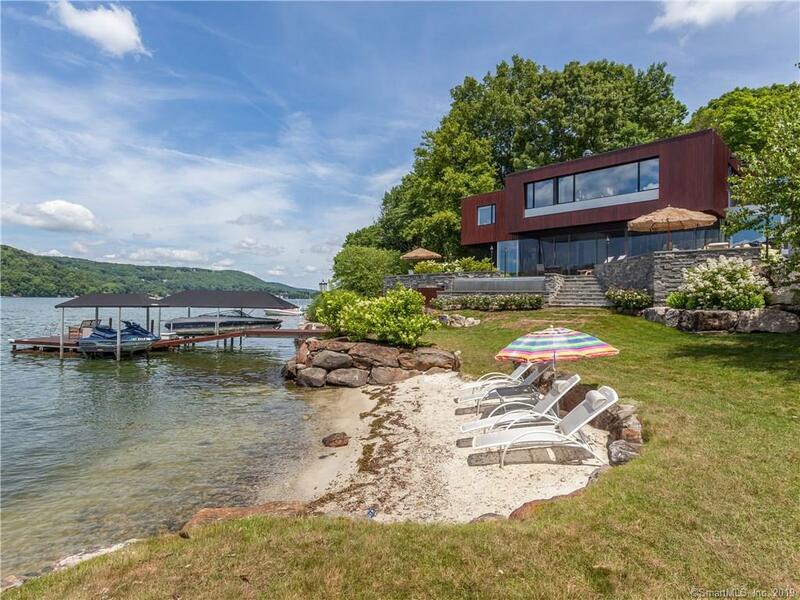 Directions: Candlewood Isle To Right At Guard House To 124 Lake Drive South On Right.